Thank you to everyone who completed the Foundation survey to provide feedback for our 2017 conference in Washington, DC. Over half of the attending families responded with details of what they liked and what could be done better. We will keep all of your statements in mind as we prepare for future events. #1 response – Communication and Learning was mentioned by 20 respondents. We learned about devices, learning and teaching techniques, and most importantly to assume intelligence believing that your children can learn AND express themselves. Give them time, and don’t give up! #2 response – Bowel Management was mentioned by 14 respondents. Hope for progress in this area is universal. Every MWS family has a few memorable poop stories, and we learned that it is possible to make headway with bathroom training. This is truly a quality of life issue for all. #3 response – Seizures were mentioned by 12 respondents. We learned about testing for ESES, seizure medications, signs of seizures, and consequences of seizures for sleeping and cognitive processes. #4 response – Music Therapy was mentioned by 6 respondents. While we all know our MWS kids enjoy music, it was enlightening to learn about the therapeutic value of musical activities. In a category unto itself were responses of feeling a part of a bigger family, having an understanding community, and not feeling alone with the struggles of MWS. The fellowship with other families who experience the same challenges brings so much hope to our lives! The favorite parts of the conference were Interactions with other MWS families, the Workshops, and not surprisingly, meeting Dr. David Mowat and Dr. Meredith Wilson, our namesakes. 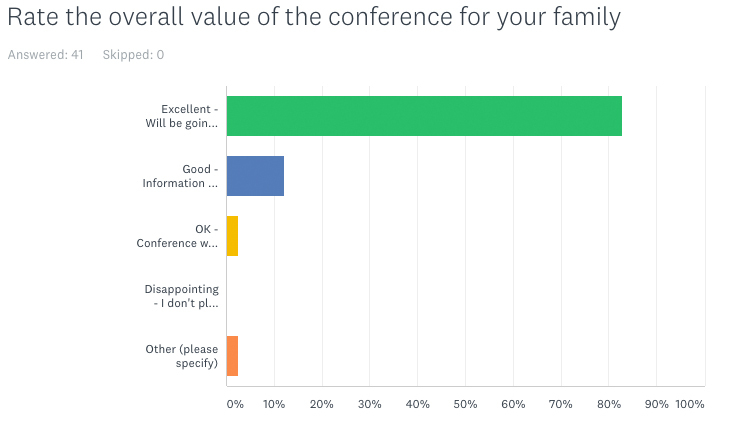 We received mostly favorable responses on the conference cost relative to the value received. The Foundation calculates that it covered approximately 60% of the total conference cost from accumulated donations, which relieved some of the family expenses. Many of you expressed willingness to serve on the Board of Directors in the future, which is much appreciated! In the category of what could have been better we received many comments that parents of adults with MWS have some unique topics of interest that could be addressed. Also, the feedback was good regarding the Sibling Seminar, but the younger siblings could have benefitted from a special event for them as well. And finally, facilitated, structured discussions between parents who can share experiences with each other (as opposed to only being presented to) would be valuable. The Mowat-Wilson Syndrome Foundation Board of Directors takes all of your feedback to heart. We were delighted with the attendance and enthusiasm for the conference, and feel that many strong friendships and bonds were formed. Thank you for your comments and suggestions, and we look forward to seeing you again! 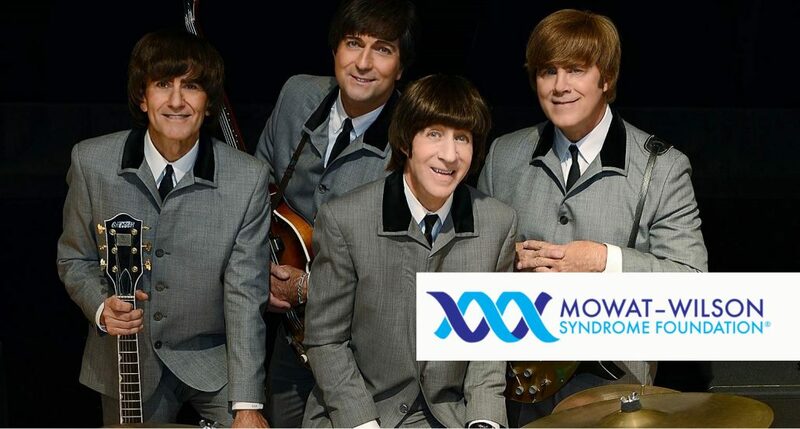 Jun 29 to July 01, 2017 – Washington D.C.
Three days filled with lectures, workshops, Q&A sessions and activities for parents, individuals with Mowat-Wilson Syndrome and siblings. Guest speakers include Dr. David Mowat and Dr. Margaret Wilson among many other specialists that will speak on topics that affect most families like: Bowel Management, Mobility, Adaptive Technologies, Advocacy, Grieving and Stages of Acceptance, Epilepsy, etc. The conference will be held at the Crystal Gateway Marriott Hotel in Arlington, VA. Rooms will be blocked for the families at a discounted rate. We will let you know when reservations open. For domestic flights use Reagan National Airport in Arlington, VA and take advantage of free shuttles to the hotel (courtesy of the Marriott). For international flights the best option is the Baltimore/Washington Airport (BWI). Early Registration Discount available until March 31, 2017. Registration closes May 31, 2017 or when venue full capacity is reached. The Medical Forum will be an informative program for families and medical students. 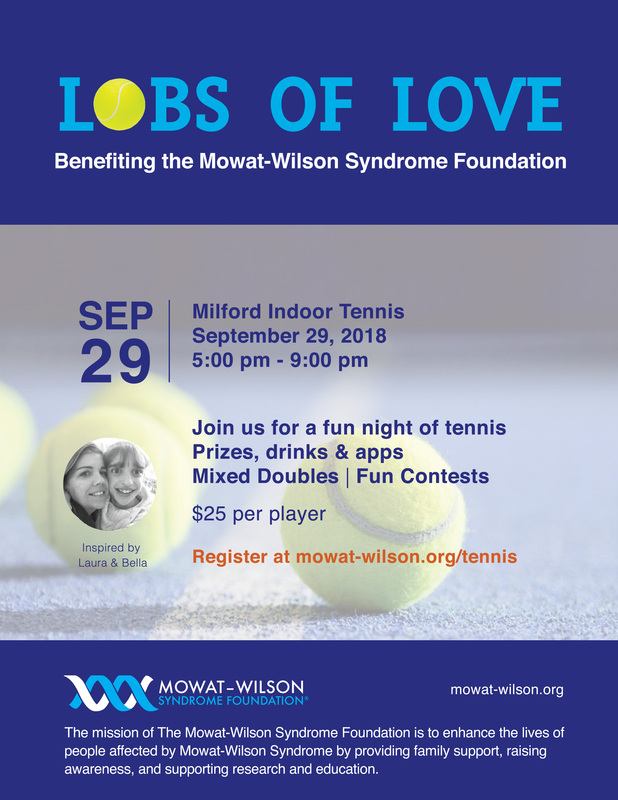 The morning program will include updates from the doctors on the various studies that are being conducted on Mowat-Wilson Syndrome. Doctors Wilson and Adam will conduct a clinic in the afternoon for the medical students in attendance. There will be additional speakers in the afternoon. Due to the limitation of 30 Mowat-Wilson Syndrome patients, we will give preference to the families living on the West Coast (west of the Rocky Mountains). The other families will be placed on a waiting list and selected on a lottery basis if necessary.